The Tamworth originated from the town of Tamworth in Staffordshire, England, and is regarded as one of the early traditional English breeds. 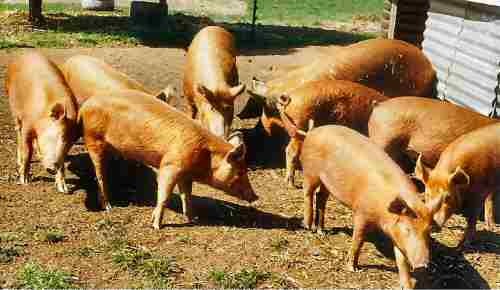 In the early 1900s the Tamworth was used mainly for bacon production. Its coat colour makes it tolerant of sunburn, and its hardiness and grazing ability make it an efficient meat producer well suited to foraging in extensive free range systems. The characteristic reddish-gold colour and long snout are also strong characteristics of the breed. The breed is known for its very alert nature and good mothering ability. The disadvantages of the breed are that they do not have the growth rate and early maturing characteristics of the commercial breeds, and while docile can be more difficult to manage than some other breeds. The Tamworth was thought to have been first imported into NZ in the early 1900s, and was suited to easy-care production systems for the production of bacon. 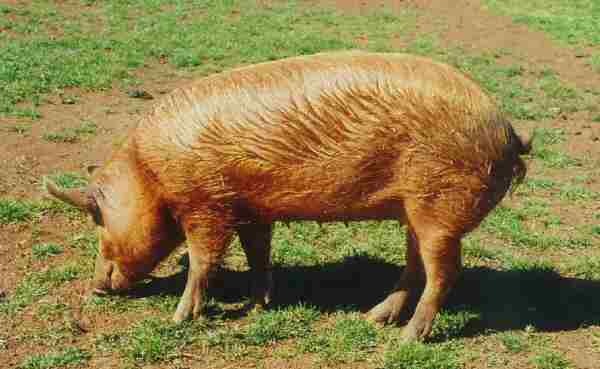 Worldwide the numbers of Tamworth pigs are low, and they are considered a rare breed in many countries. They are a relatively easy-care pig, and their hardiness and docile nature make them suitable for extensive grazing blocks. Go to Tamworth Standard of Excellence.